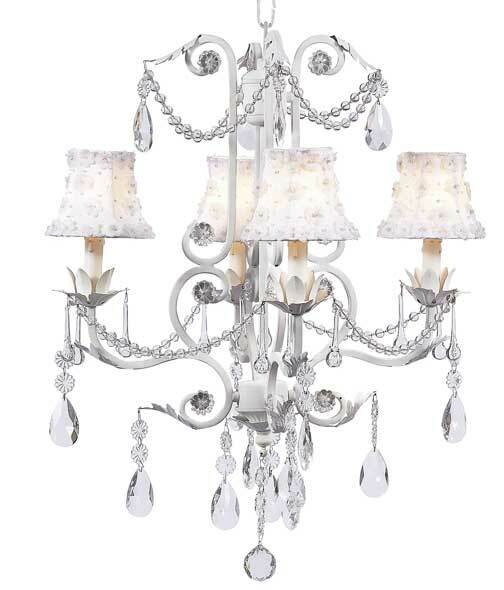 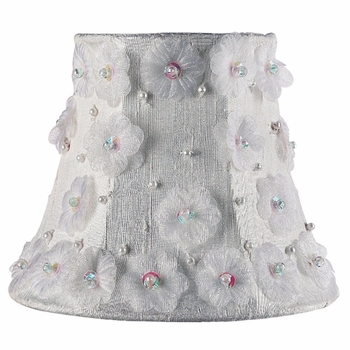 This white petal flower chandelier shade is dainty and delicate. 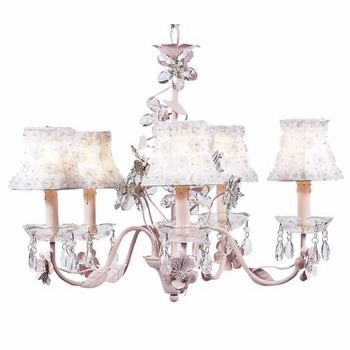 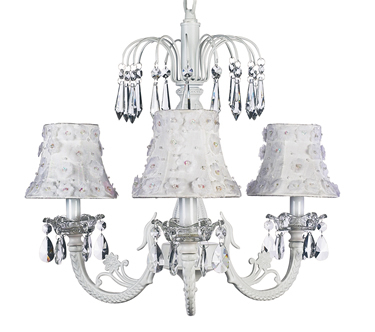 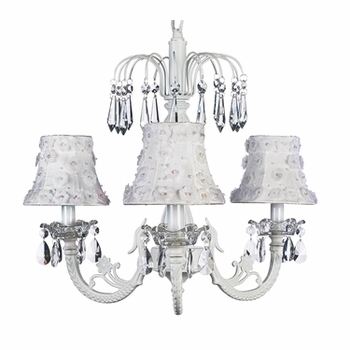 The silk chandelier shade is adorned with delightful petal flowers. 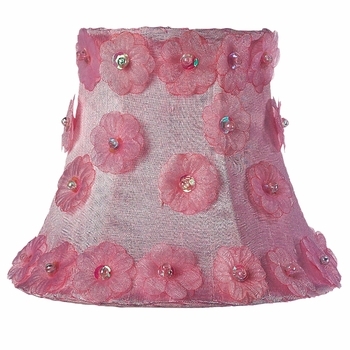 A sequin and beaded center of the flower adds a touch of sparkle. 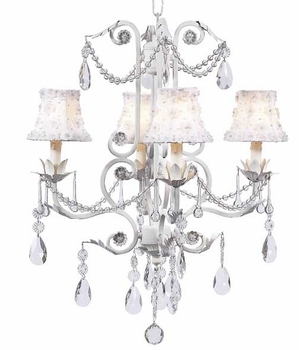 Makes any fixture special and unique! 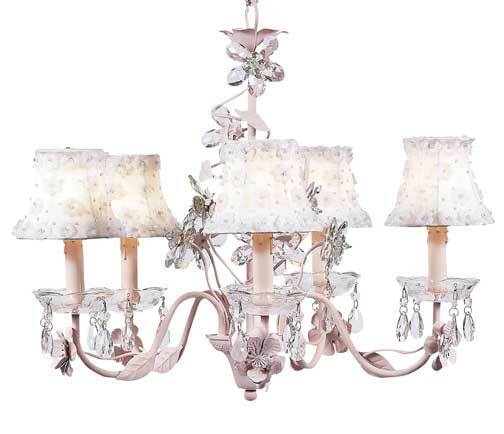 Ships directly from the designer.